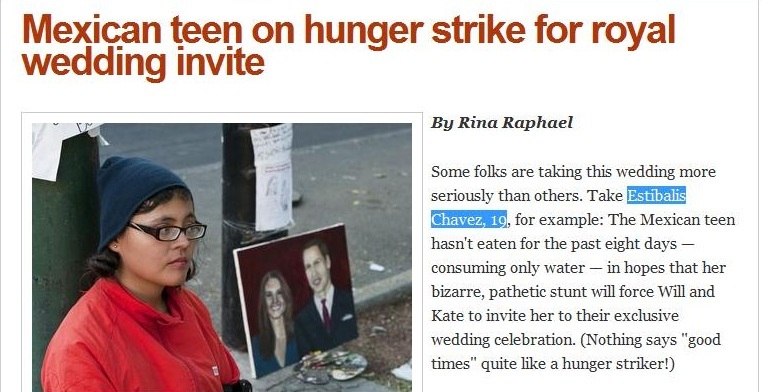 It’s been a busy week for the royal couple. 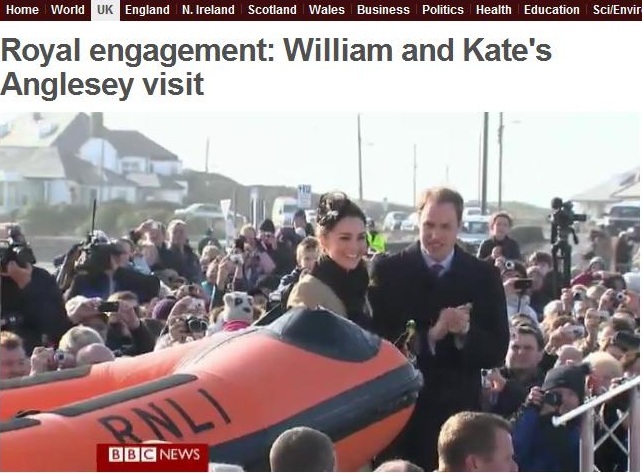 From launching a new RNLI lifeboat to heading back to the place where the first set eyes on each other, St Andrew’s University – William and Kate seemed to enjoy their first official events since their engagement in November. And why shouldn’t they? I am a firm believer that when it comes to spending time with your other half – when it’s right – you’ll enjoy most things as long as you are together. 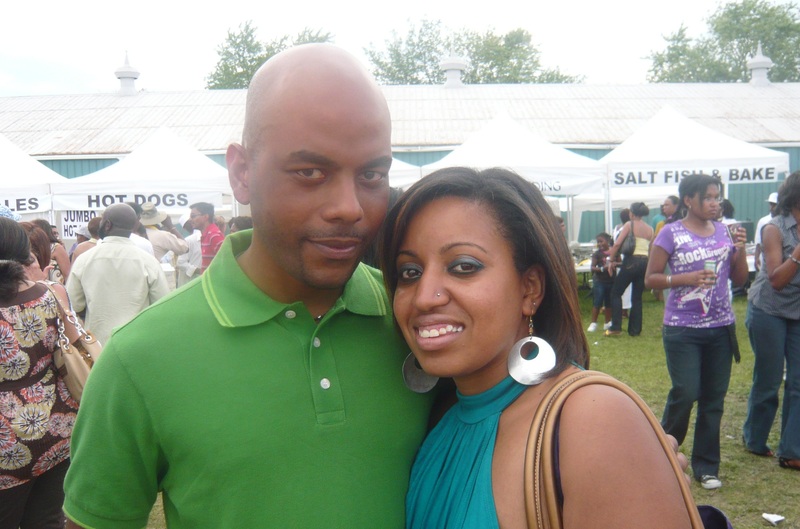 I remember a number of years ago – summer of 2008 in fact when Rahim and I were in Canada for what seemed like 2 weeks of family engagements. No need to buy a hat (no major engagements of that kind), but I did have the pleasure of meeting and staying with his two sisters for the first time. Both lovely ladies who did nothing but make me feel extremely welcome. That was the same summer when R met my dad for the first time. My girl friends who have known me since childhood had a fantastic time trying to convince him that he was like the dad in Guess Who. Lol – he isn’t… but they had much fun with that one. Meeting the dad of your girlfriend can never be fun (no matter how great he is – it’s the anticipation that’s a killer!) – and the fun didn’t stop there. My mum’s high school reunion meant that we didn’t have to do a tour of the Caribbean and US to meet my aunties (my mums many good friends) – they were all there in one place. It seemed that Toronto was the place where we were beginning to truly get to know each others families. At the high school reunion: Guyana in Toronto! I’m not sure whether the Middleton’s (be it parents or family friends) had that chat with William – but I would love to think that someone didn’t give a hoot that he’s a prince – and just wanted to lay down the law! 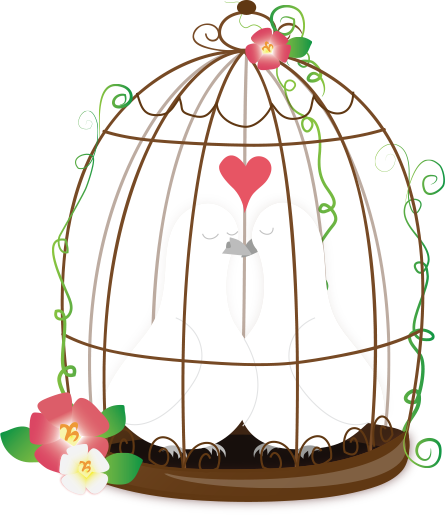 Either way – many years down the line – this couple seems to be having a fantastic time together, and hopefully when they go to Canada on their first official engagement as a married couple – they’ll have as great a time as we did. 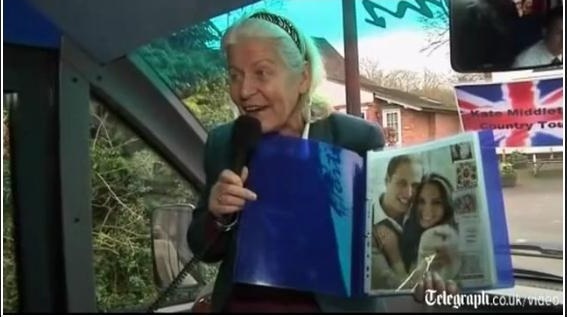 The wheels of the bus go round and round… all the way through Kate Middleton’s home village in Royal Berkshire. Which led me to wonder… what would you not give up? For me, it would be was my hubby to be, family and friends. Yes, yes, sweet I know – but there MUST be something more interesting than that which I would hang onto tooth and nail. 1900 down… more to go? With 1900 invitations out the door… Speculation about who is receiving the first round of Royal Wedding invitations can now trickle off as envelopes hit the floors of [an alleged] 50 members of Royal Family, 40 Foreign Royal family, 200 MPs and Diplos, 60 Govenors/Realm PMs and 80 Charity workers (numbers above as per the Twitter feed of Sky News’ Paul Harrison). The invitation above truly is a golden ticket – and hopefully something the royal couple look at with pride in those (sometimes rare but) important moments when you give youself a minute to reflect… and get excited about the upcoming big day. … And woohoo… R and I will have a few of those moments of our own tomorrow as we finish up addressing and sending the balance of our invites. This excitement does not just derive from the sheer relief we will feel to tick this off the list… but also, it is the knowledge that our invitations reflect us. How… you ask? 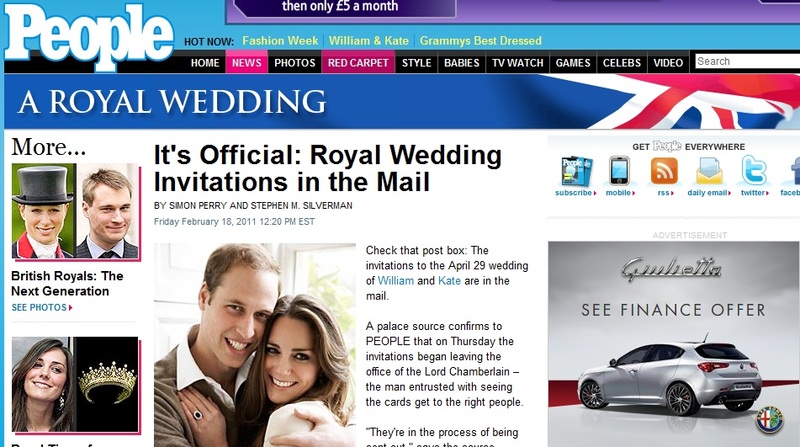 Is there not a standard way to doing invites as per the classy Kate and Wills golden ticket above? Actually, no – the world is your oyster when you have the design stylings of my bridesmaid and graphic designer extraordinaire, Lulu. 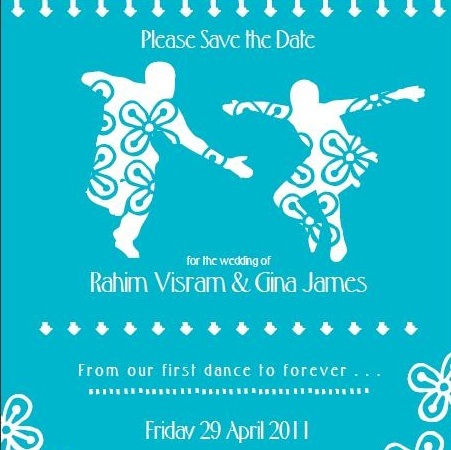 No gold embossed writing and rafts of white space for us, but instead colours, words, symbols and illustrations reflecting the vibe of this [not royal, but I like to think pretty special] couple! 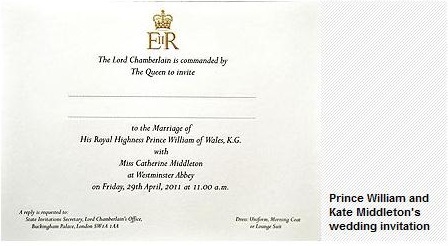 However, I’m guessing Ms Kate Middleton won’t be sitting with a caligraphy pen in hand for much of the morning tomorrow. That’ll be just me then! While I hope you are enjoying my opinions / comments on the countdown to the Royal Wedding (and random parallels to ours!) – sometimes you just have to leave it to the experts! See here for a video in which Caroline Castigliano talks Kate Middleton’s wedding dress. Enjoy!